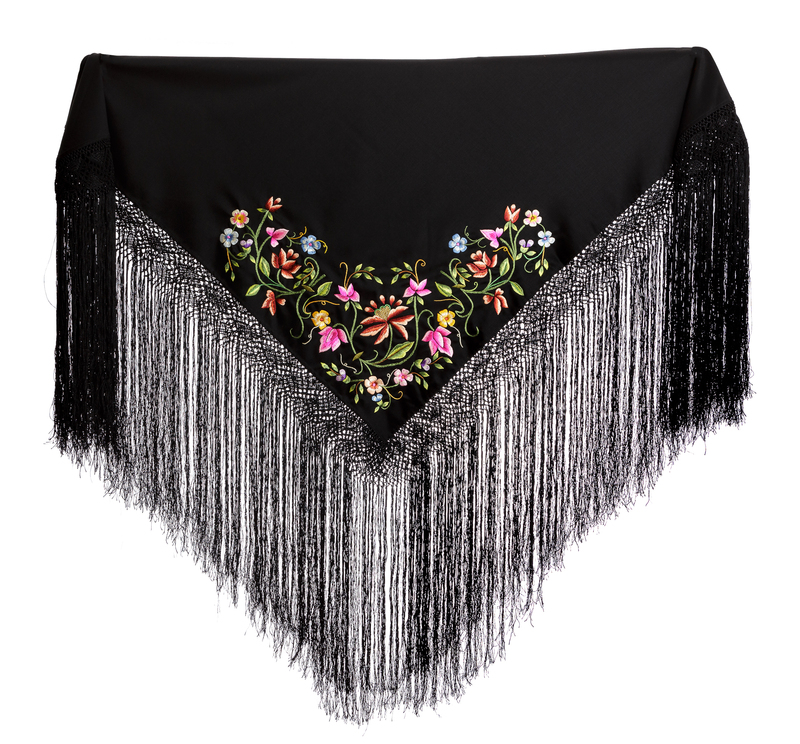 This fine tibet wool shawl with a macramé-crafted fringe is characterised by its particular motif and manufacture of the embroidery, produced in the “padded” stitch variation. 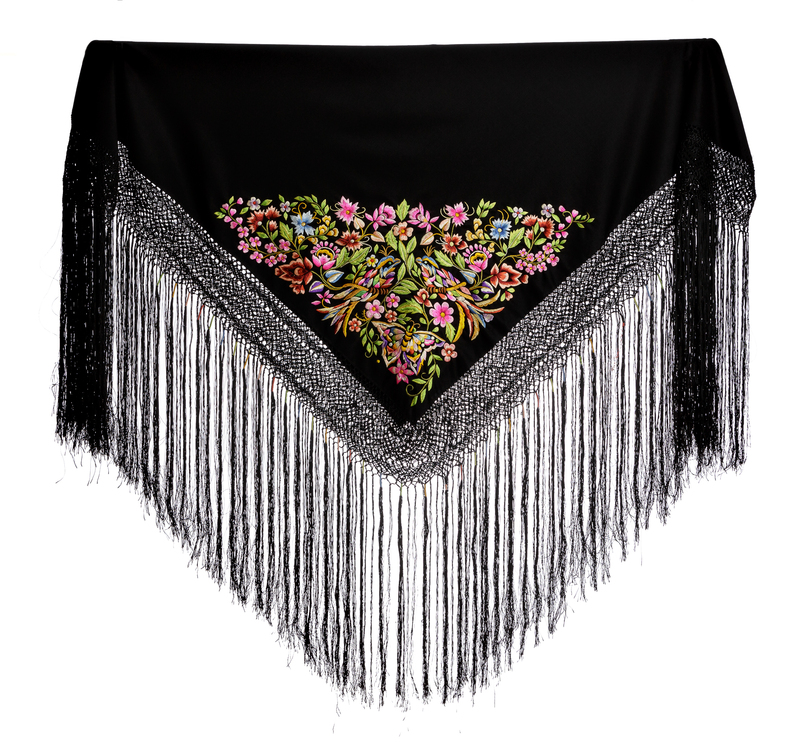 This fine tibet wool shawl with polychrome silk embroidery and a macramè-crafted fringe faithfully reproduces a typical design of the costume of Oliena. It is entirely handcrafted and can be customised in colour and design. Refined in design and choice of colours, this fine tibet wool shawl with entirely handcrafted polychrome silk embroidery recalls the colours of ancient embroidery. The fine embroidery of the apron, which forms part of the traditional costume of Nuoro, reproduces the original exhibited in the Ethnographic Museum in Nuoro with great stylistic consistency. 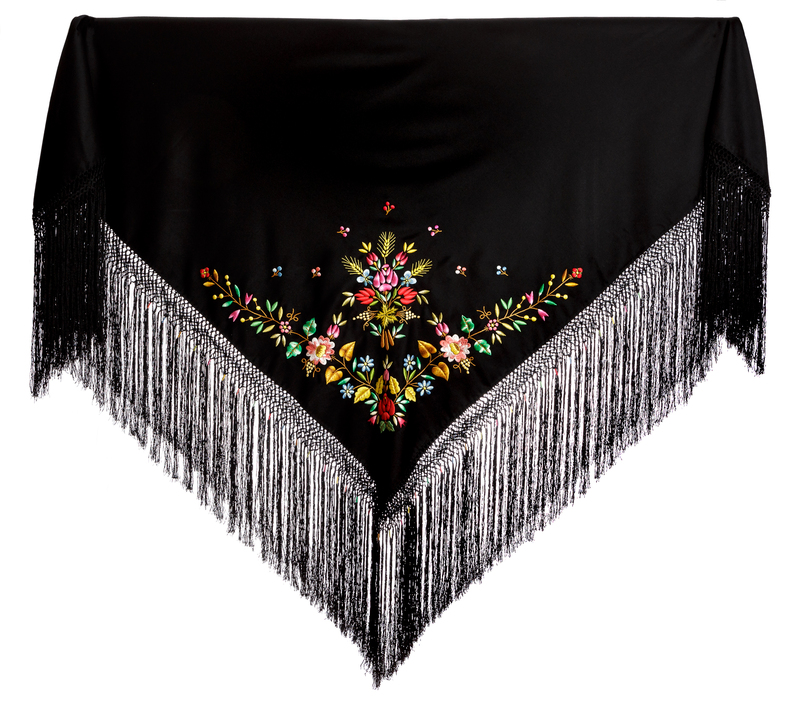 A strikingly distinctive element, it is embroidered in polychrome silk thread on black woollen cloth. The exclusive production of fine hand embroidery by Margherita Busio, which stands out for its exquisite taste, quality of materials and skilful manufacture, is rooted in a distinctive family history which started thanks to the enthusiasm of her mother Maddalena, devoted keeper of ancient traditions, who, over time, became the point of reference for the gathering of all the material necessary for the tailoring of the traditional costume across the island. Maddalena, born in Orgosolo, moved to Nuoro with her family in the 1980s, where she set up her first shop, Costumenes, in 1999, which was specialised in exclusively handcrafted traditional fabrics and costumes. Over time she decided to acquire the historical Minerva brand from Brescia, specialised in the production of tibet woollen shawls, enriched with precious handcrafted fringes using the macramè technique typical of the island tradition. Using the same brand she followed her personal wish to respect tradition, thus reproducing the fine brocades and damask fabrics in pure silk used for traditional costumes and shawls, which were no longer produced. The respect for artisanal techniques and traditional styles is equally important for Margherita. She learned the art of decoration and embroidery at home, which she improved following a personal path with a well-known embroiderer of Oliena, a centre of excellence for silk embroidery, where she reached an expressive virtuosity recognisable in the rich motifs and in the neat, precise embroidery stitches on the beautiful black shawls, aprons and embroidered parts designed for the traditional costume. She works in her own workshop in Nuoro and contributes to the management of the family business. She is highly regarded for her embroidery faithful to tradition. The production of Minerva Ricami by Margherita Busio is specialised in the embroidery of the traditional Sardinian costume, embroidered entirely by hand with pure polychrome silk yarns and natural fibre fabrics. 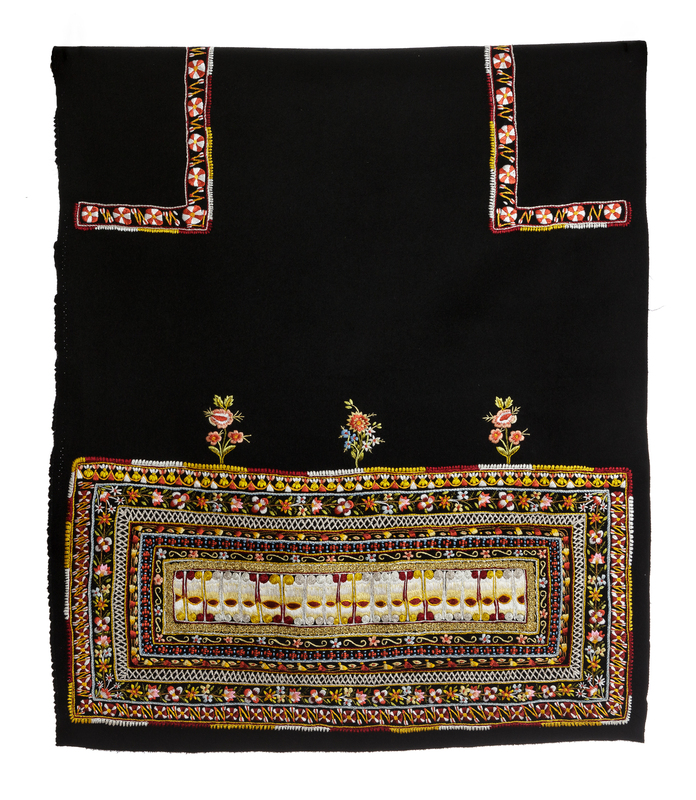 The beautiful black shawls in fine tibet wool with brightly coloured floral decorations, taken accurately from tradition in the many variants used by the different towns and villages are distinctive. 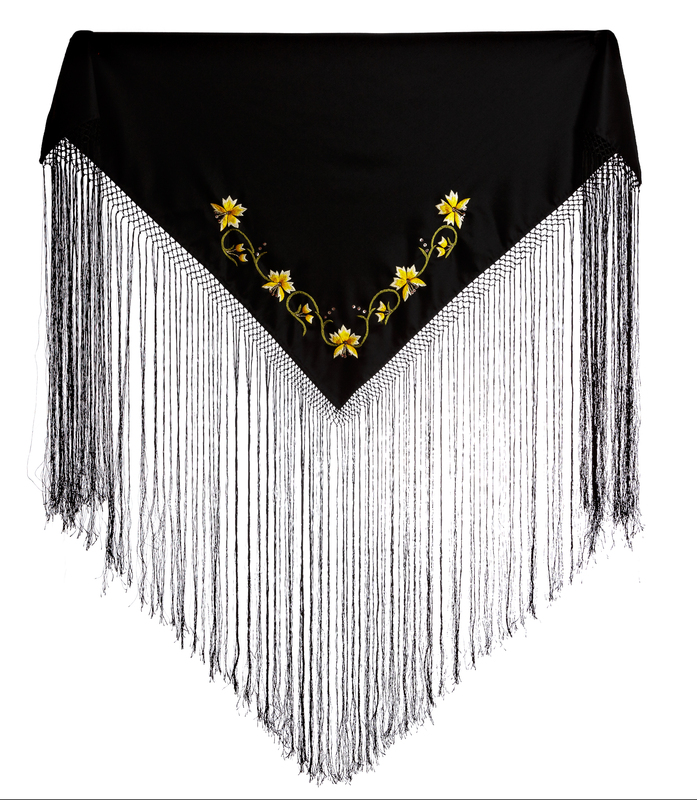 In addition, there is a new line of shawls which reinterpret tradition through elegantly inventive decorative compositions in simplified shapes, designed to be worn with contemporary clothing. Silk thread embroidery, performed with the utmost care and precision, characterises Margherita Busio’s production, which also includes the careful tailoring of all the garments that make up the traditional costume of all the Sardinian localities.